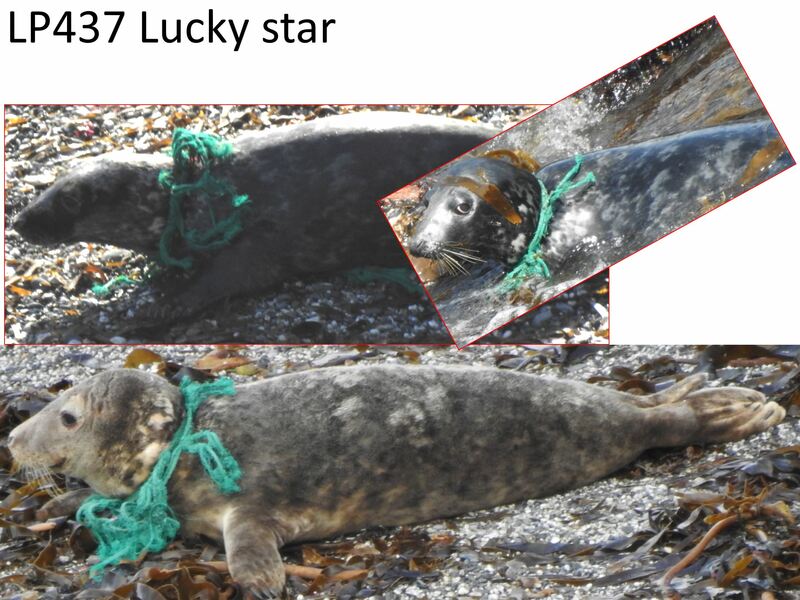 Back on 17th May 2018, Cornwall Seal Group Research Trust (CSGRT) surveyors sighted a juvenile male grey seal in West Cornwall that was entangled around the neck with green fishing net and became known as ‘Lucky Star’ in the hope he would be able to be rescued. 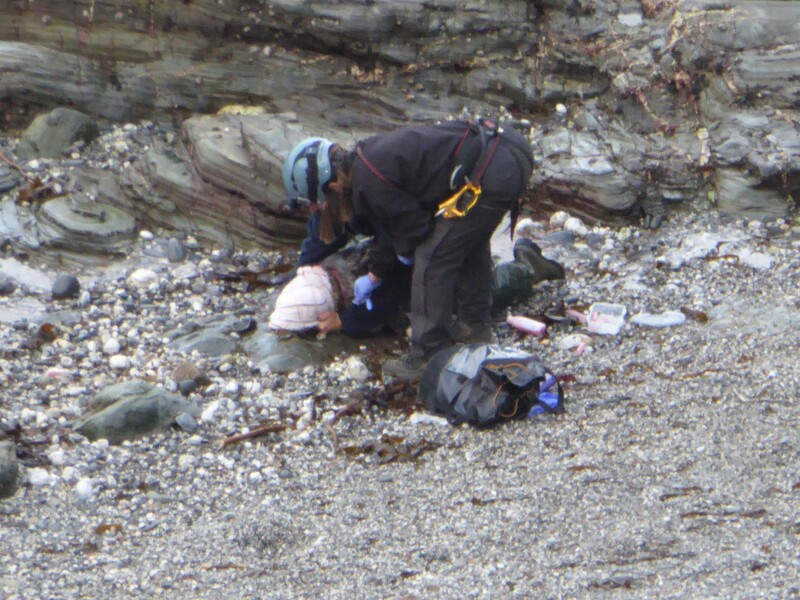 British Divers Marine Life Rescue (BDMLR) and the Cornish Seal Sanctuary (CSS) were alerted to the animal’s plight, however he was scared back into the sea by loud noises from clifftop onlookers and nothing could be done. 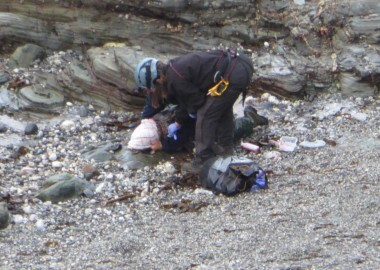 BDMLR’s volunteer Medics carried out regular patrols over the following weeks in an attempt to locate him while CSGRT publicised the situation and called for members of the public to help find and report him too, with many helpful reports received by CSS and BDMLR from other locations along the North Cornwall coast and possibly also at the Isles of Scilly. 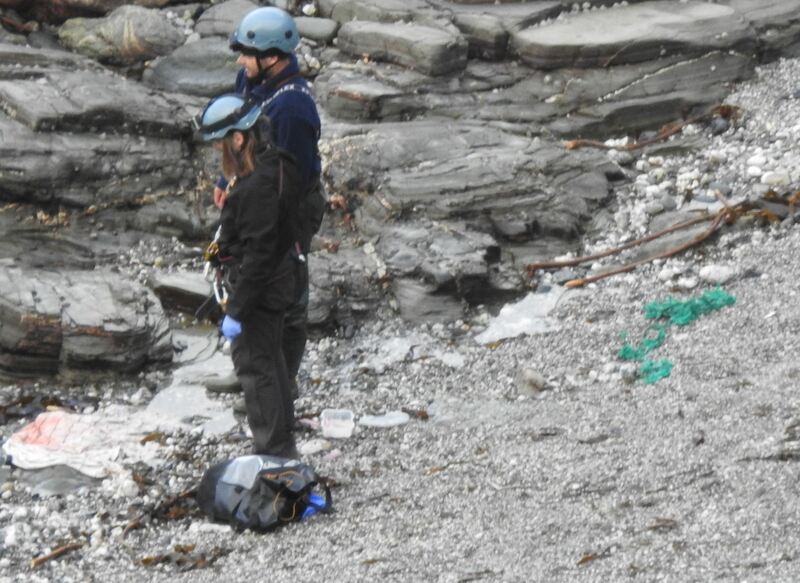 People were so concerned about the horrific sight of this young seal with his plastic noose that CSGRT had 250,000 hits from one photo posted on their Facebook page. However, his infrequent appearances and disappearances at different places made tracking him very difficult. When he was seen, he would often be heartbreakingly just out of reach either hauled out on offshore rocks or swimming in the sea where it was impossible to get to him. 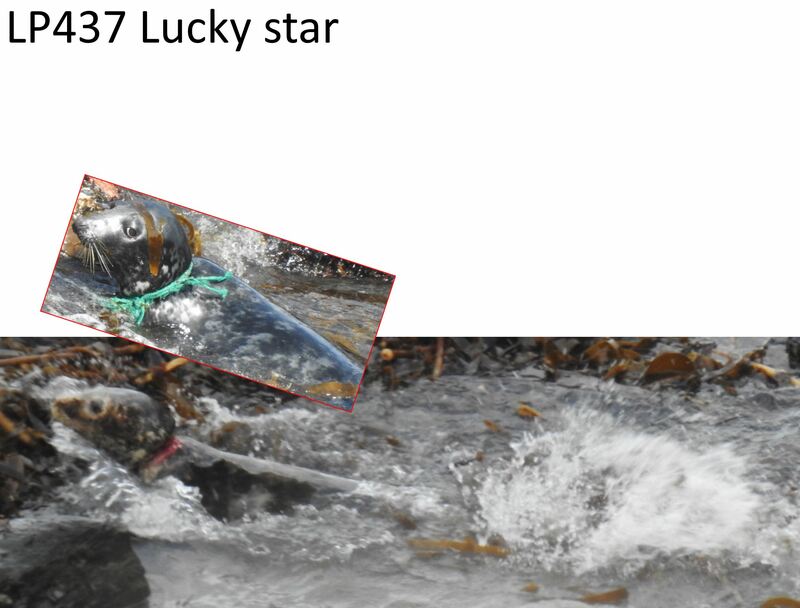 After a long absence, Lucky Star reappeared in West Cornwall in late August in a good spot to rescue, however the rescue attempt was despairingly foiled by noisy onlookers spooking him into the sea before the rescue team arrived, and he disappeared once again. On 1st October, CSGRT volunteer Kate Hockley was out surveying when she spotted Lucky Star in a position where rescue might be possible. She contacted CSGRT Chair Sue Sayer who in turn contacted BDMLR Welfare Development and Field Support Officer Dan Jarvis, and a rescue team was swiftly mobilised to the site. Due to the nature of the area where Lucky Star had been found, it was necessary for Dan, Sue and her partner Chris, an experienced climber, to abseil down into the cove incredibly slowly and quietly so as not to disturb him into the water. The operation came close to failure just as it began, as Lucky Star did spook and moved halfway down the beach towards the escape of the sea. 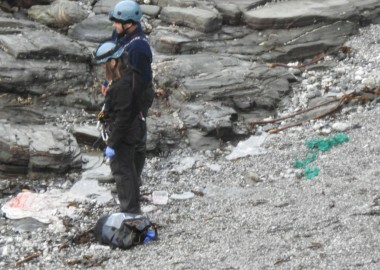 After many tense minutes as the rescuers remained frozen to the spot and the collective breath of everyone watching from the clifftop was held, Lucky Star settled down and the team were able to continue creeping down the cliff. Eventually, Dan and Sue made it down on to the beach, but they were quickly spotted before they were ready to approach. The rescue operation now became a sprint finish between Dan and Lucky Star as to who would get to the sea first, and Dan had twice the distance to cover. Fortunately, it was Dan who arrived first, and after a snarly and snappy struggle, Lucky Star was finally pinned down. 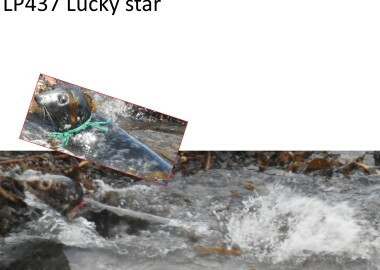 It was very quickly apparent how Lucky Star had managed to survive for so long, as he displayed a considerable fortitude and was still very strong, making it hard to keep him in place while Sue cut away at the three strands of thick rope that had been slowly strangling him to death. Underneath the net, a raw deep wound was revealed across the back of his neck that would have caused him a great deal of pain every time he moved. Sue cleaned the wound out with an antibacterial scrub, and after being carefully assessed it was decided that Lucky Star was in good enough condition to be released straight back into the wild again to allow the healing properties of saltwater to do its work keeping the wound clean and healthy. After the operation, Dan commented “I’ve watched this animal too many times and not been able to rescue him to allow him to slip away one more time. Winter is coming, and this may well have been our last chance to save him. I was absolutely determined that we would succeed this time, and it finally felt like we had some luck on our side at last too. We were all overjoyed as well as relieved that we were finally able to save him from a slow and painful death”. Sue added “the timing of this rescue coinciding with the amazing BBC documentary ‘Drowning in Plastic’ on the same evening couldn’t have been more fortunate. The programme highlighted the struggles of marine wildlife species and human communities around the world as they fight against the rising tide of plastic pollution and even though we have had incredible success today with Lucky Star, it is always sobering to realise that there are many more out there like him who need our help. 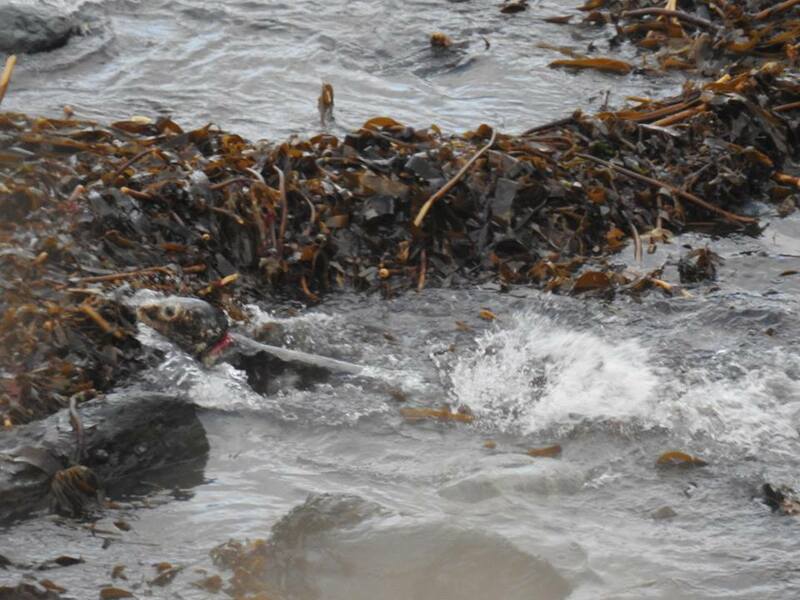 We recorded 102 different entangled seals in Cornwall in 2017 alone”. After releasing Lucky Star, the team took the opportunity to carry out a 2 minute beach clean and brought back up a bag full of plastic bottles, polystyrene pieces and even a couple of balloons, as well as Lucky Star’s net. 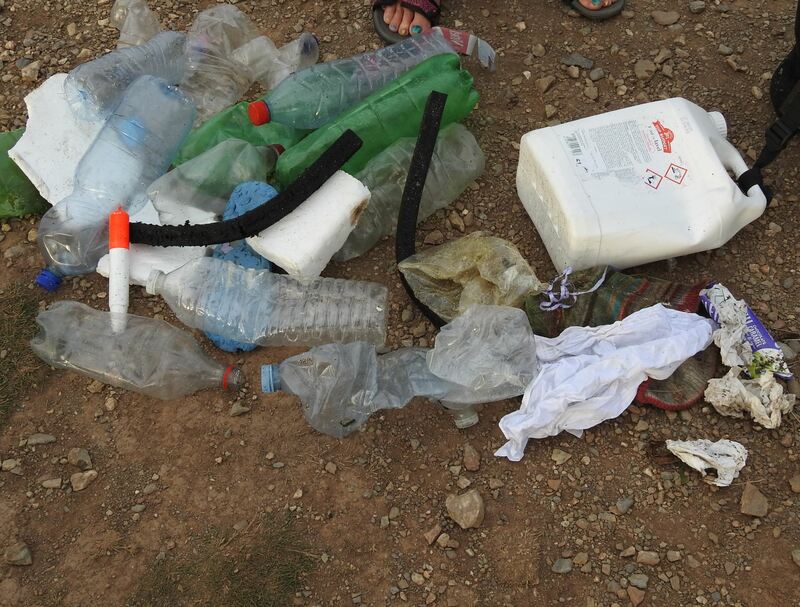 Massive thanks to everyone who contributed to this successful rescue attempt…you are all amazing volunteers.